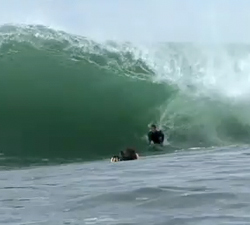 A heavy session went down in Portugal on the 10th of March 2012.. Luckily the action was captured by Blasfémia Produções. Michel Copetta Winkelmann’s profile for 2011. 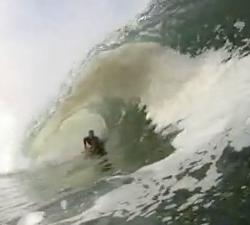 Dropping the knee to destruction in and around the slabs of Chile…. The Rossi Board Company team riders in action representing for the board co in Australia. Some footage from the last year in the far north of NewZealand featuring nzs best riders and footage from the northland pro comp. 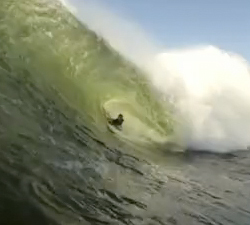 Some great footage from Shark Island, filmed on 23-3-2011. All the usual faces make an appearance. 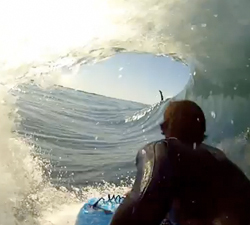 A nice mix bag section featuring a variety of riders and breaks, more notably Tahiti and Australia. 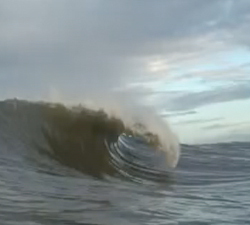 A quick glimpse of the balmy chocolate brown barrels of the UK’s North East coast… The North Sea. 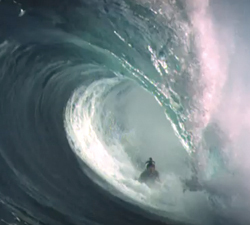 This clip has been put together last year around his Northern NSW home and across other parts of Australia.